RAMAPO – Rockland Community College hosts the 30th annual Chess Grandmaster Challenge on Tuesday, April 17. International grandmaster Gennady Sagalchik will play up to 25 opponents simultaneously at the challenge event. RCC students, faculty and staff as well as local schoolchildren have an opportunity to test their skills with a champion international chess grandmaster. Those who want to view and observe the grandmaster in action are also welcome. 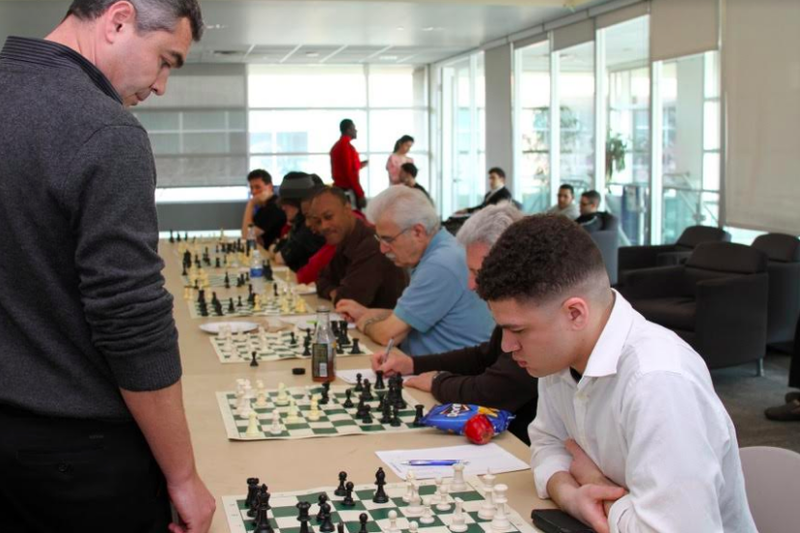 Many agree with RCC math professor Peter Arvanites, who calls the Chess Challenge “one of the highlights of the academic year,” at Rockland Community College. Chess sets will be available for players, but you may also bring your own and Sagalchik welcomes players of all ability levels. Entry is free for students with faculty and staff asked to contribute just $5 to the RCC Chess Club. Refreshments will be available. 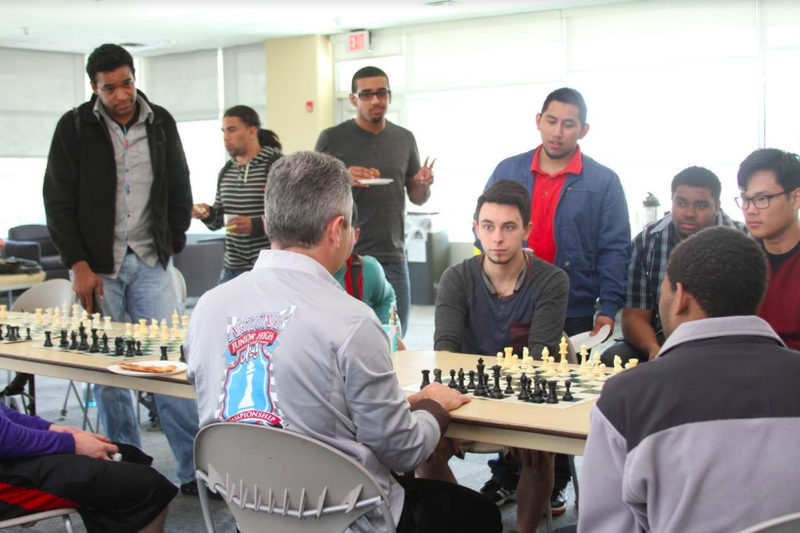 If you have any questions, e-mail the faculty co-advisors to the RCC Chess Club: Peter Arvanites at parvanit@sunyrockland.edu or Janna Liberant atjliberan@sunyrockland.edu.